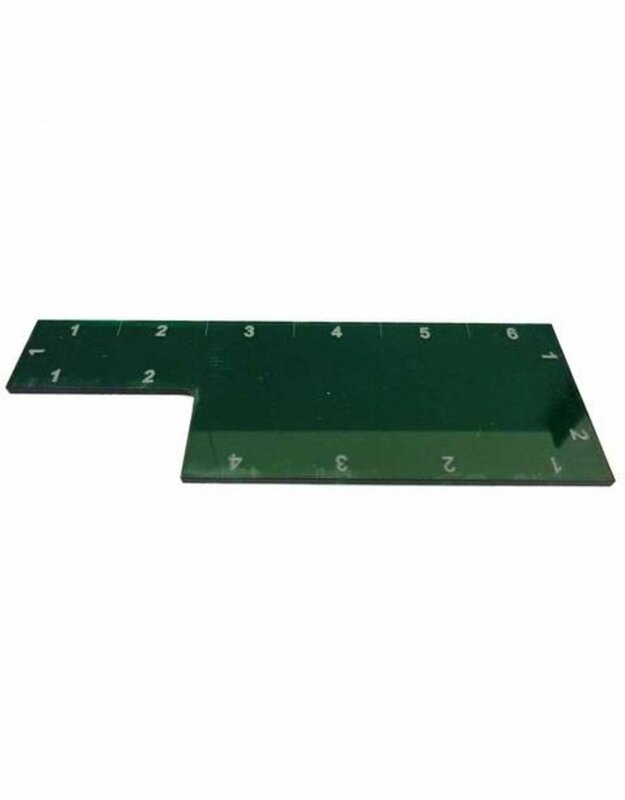 The Ruler is made from 3mm coloured acrylic. It measures 6 inches along one side and 2 + 4 along the other. One end is 1 inch wide and the other is 2 inches. Each inch marker is numbered.